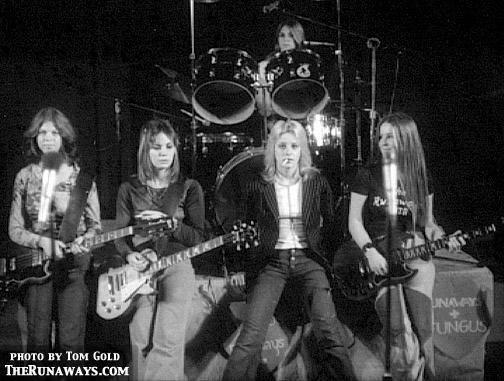 The Runaways - 1976. The Runaways, mostly likely in early 1976. Wallpaper and background images in the the runaways club tagged: the runaways image lita ford jackie fox sandy west joan jett cherie currie 1976. This the runaways photo contains konser and drummer. There might also be gitaris and pemain gitar.